Many of our clients come to us with nurse case managers assigned to their cases by the insurance carrier. While many of these are nice people, and while they may act like they are your best friend and just there to help you, they are not. They are hired by the insurance carrier to minimize costs on your claim. This is usually unfortunately accomplished by pressuring your doctor into providing a minimal amount of treatment or releasing you to work earlier than they should or with less work restrictions than they should. You may call me cynical, but this is borne out by years of experience dealing with nurse case managers in Arizona Workers (Workmens) Compensation claims. I have sent Spanish speaking clients with tape recorders to appointments to record what the nurse case manager is interpreting to the doctor and on some occasions the NCM tells the doctor the exact opposite of what my client said! There are exceptions, but I have unfortunately found them to be few. While the insurance carrier has a right to monitor your claim and get information from the treating doctor, they do not have the right to violate your physian - patient privilege or unduly pressure the doctor. One of the benefits of having an attorney on your claim is that the nurse case manager cannot have contact with you and is usually removed from the case. If you have questions about nurse case managers, you should immediately contact an attorney who practices in Arizona Workers Compensation Claims. 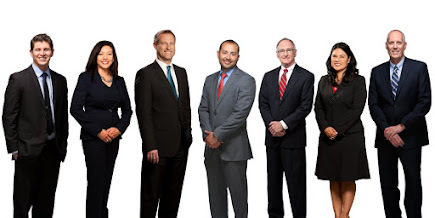 Snow, Carpio, and Weekley are Workers Compensation Attorneys with offices in Phoenix and Tucson. They can be reached at (602) 532-0700 or (520) 647-9000.